How secure is your website? You’re with a company who hosts and maintains websites so you believe that you have nothing to worry about. That’s not always true. 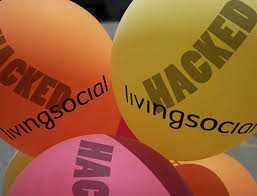 Just recently, LivingSocial was the victim of a cyber attack in which 50 million accounts were hacked. That’s crazy, you say? LivingSocial is huge and they employ top IT professionals. They shouldn’t be vulnerable to hacking. No one believes that it will happen to them when, in reality, anything that connects to the internet is vulnerable to attack. You may think that the keys to a secure website are as simple as having a host company do the work for you. It’s a bit more complicated. Host companies do exactly that…they host websites. These companies set up firewalls and secure passwords. Often, the problem is not the security of the host web server. The problem frequently lies with some of the hosted websites. Many people use the same password for all of their online accounts, such as banking, FaceBook, LivingSocial, etc. This creates a major opportunity for hackers. All they have to do is get into your home computer and install a keystroke logger. Then, with a little bit of patience, they have all of your passwords and can get the info on any of your online activity. It’s just that simple. One little program can open up every online aspect of a person’s life. Once they gain all of those passwords, they can get to other accounts that are hosted by the same company that you use. Once inside, hackers can install malware and create a “back door” so they can get in at any time. How secure is your website? Do yourself a favor. Let Josiesque Designs help with your website security.